Benton County has some prime industrial land available. 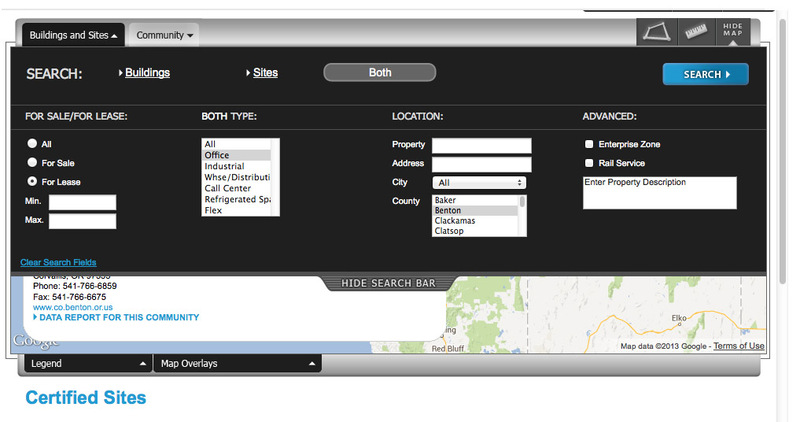 Search the State Database “Expand in Oregon”, choose “Benton County” for Location, and choose either Sites, Buildings or Both. Then click Search. The City of Corvallis has three Enterprise Zones: South Corvallis at the Airport Industrial Park, Sunset Research Park, and the Hewlett-Packard campus. The Business Enterprise Center has incubator office space for qualifying businesses. Oregon State University will be opening an incubator. Learn more about RAIN here.